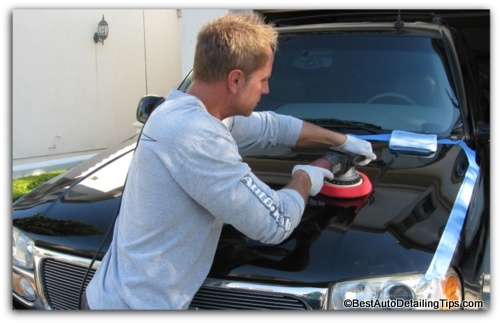 Car polishing is a topic full of confusion; become un-confused! Car polishing is a topic filled with endless opinions from so-called experts and well-intentioned, ignorant people. Visit any detailing forum and not only will you find yourself quickly overwhelmed with endless opinions, but you will find that the industry itself is inconsistent with labeling, terminology, and opinion, and one manufacturer contradicts another manufacturer. Unfortunately the industry of car care does very little at best to help educate the consumer so that we as car owners can make informed decisions. Turning a profit is at the top of every manufacturers priority list, and with the help of slick marketing and advertising, they have most of us chasing our tails from one product to the next, all in the name of simply trying to polish our cars. "Within the world of car care and detailing there exist endless opinions from so-called experts and so-called professionals. Let me help you filter through a topic that many people just like yourself find so confusing and overwhelming!" Q. I heard you should never use a buffer on your car? A. The simple answer is that the person behind the buffer is the problem, not the buffer itself. Q. Darren, it sounds like you are telling me that it is O.K. to polish my car with a buffer? A. Yes. So long as the person (you, a detailer, etc.) behind the buffer is experienced and truly knows what they are doing. Q. What if I want to polish my car myself; is it really possible for a beginner to use a buffer and get professional results without damaging my car's paint? A. YES! That is the great news. With modern advances in car polishers and buffers, now true beginners with no experience can get professional level results from the start. You can see polishing for beginners if you are one of those people. Q. I have heard that a high-speed buffer should never be used, but I had a friend tell me that a random orbital buffer is safe. A. Once again, the person behind the buffer is the biggest factor whether you are talking about polishing in general, or which car buffer is safe. Q. What exactly is the difference between a high-speed car buffer and a random orbital buffer? A. The simple answer is this: a high-speed buffer is the car buffer that has given the subject a bad name. A high-speed buffer (officially called a rotary polisher) is a car polisher that spins on a single axis point and has the ability to spin at very high speeds; Between 600 RPM-3500 RPM as a rule. A random orbital is the latest in tool technology and this is where the world of professional detailing has been headed for a long time, as these random orbital buffers allow for professional results, but are far safer in the hands of a beginner. For a more comprehensive understanding between the two, see automotive polisher. In today's world of information over-load, having too many choices back by endless opinions represents a difficult position for most people. So if you are looking to figure out the best buffer to polish your car with, go to my auto buffers review and this page will further help you along this daunting task! I hope this information has been helpful! You can do me a favor and share or post this page to someone you think my also benefit from this information.